It's that time of the week when we look at the download treats on the way from Nintendo, and this time around the North American update certainly has some promising options. The headline arrival is major campaign DLC on 3DS, while there are some quirky and interesting offerings across both eShop platforms. Naturally there are some discounts also thrown in, so let's get to the details. Missed the European Nintendo Download Update earlier in the week? What were you doing, are you crazy?! Never mind, the details are still all right here. 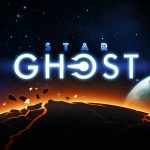 Star Ghost (Squarehead Studios, $8.99 / CAD$12.99) - A procedurally generated shoot-em-up "inspired by the arcade classics", Star Ghost is the work of Rhys Lewis, former A.I Lead at Retro Studios. This utilises the control scheme seen in the rocket barrel stages of Retro's Donkey Kong titles, while Rare alumni David Wise provides the soundtrack. We gave this a glowing recommendation in our Star Ghost review. Jewel Quest (iWin Inc., $4.99 / CAD$5.99) - As the title suggests this is a HD version of the popular jewel matching game, in this case with the promise of 72 boards to take on; it'll surely be tempting for match-3 fans, and we'll get working on a review. Grumpy Reaper (EnjoyUp Games, $4.99 / CAD$4.99) - An 'arcade-style' game with a quirky concept, you play a gardener (beholden to Death) that mows lawns to contain escaping spirits and dead creatures, or something... It could be fun, we'll figure whether it brings us to life in a review. Rhapsody: Music and Radio (free download, subscription service) - Nintendo's product page isn't actually live for this at the time of publication, but after digging around this appears to be an app for the Rhapsody music streaming service. 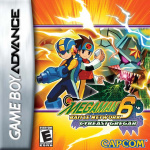 Mega Man Battle Network 6: Cybeast Falzar / Gregar (Capcom, $6.99 each) - Rather like with the 'Classic' originals on NES, Capcom decided that six was the magic number for this particular series on Game Boy Advance. We've rather enjoyed this RPG series, albeit the evolution between each entry has been minimal at times, and both versions of this sixth entry arrive with their minor differences. We gave this final entry a strong recommendation in our review. Blast 'em Bunnies (Nnooo, $4.99) - The objective here is to take down as many bunny enemies as possible and collect coins, which can be used to purchase new items in-game. 50 medals are waiting to be unlocked, and the title's Survival and Slaughter modes feature varying difficulty levels. We'll inform PETA of our plans prior to sharing our review soon. Fire Emblem Fates: Revelation (Nintendo, $19.99 / CAD$24.99) - This latest Intelligent Systems masterpiece may have more DLC maps than some have had hot dinners, but this is certainly the key downloadable extra. 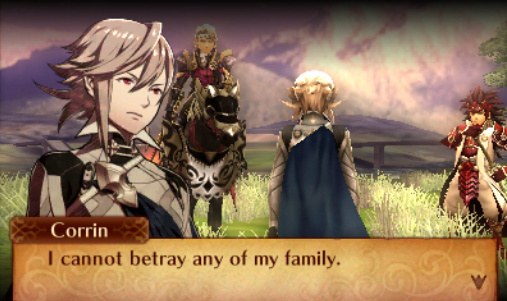 Revelation is effectively the 'third campaign', in which the pivotal choice moment is greeted by Corrin's decision to not pick a side - what follows is a lengthy experience that blends gameplay and characters from both Birthright and Conquest. It's an essential purchase for fans of Fates, as we make clear in our Revelation DLC review. Bravely Second: End Layer Demo: The Ballad of the Three Cavaliers (Square Enix, free) - This demo focused on the Three Cavaliers – Yew Geneolgia, Janne Angard, and Nikolai Nikolanikov – will act as a prelude to the main adventure, and even allows players to unlock rewards in the full version of the game depending on their progress in the demo. The Bravely Second: End Layer demo: The Ballad of the Three Cavaliers can be completed multiple times, however only a completed save file can be used to unlock rewards in the full game. That's your lot for the North American Download Update this week; let us know what you're planning to download in the poll and comments below. Just the Bravely Second demo for me. Where is Mario Kart 64? Not a very good week. Do we really need anymore mega man on the wii u VC. Don't get me wrong I love me some blue bomber but would be nice to see something different. Ughhhhh I thought Revelation was next week. I'm done Birthright and over half done Conquest, but stilllll. we need final fantasy 2 and 3 (4-6) on the wii u VC. Japan has had these for ever. get on it. And for fun give us because they have not been released on vc yet. BS demo. Because I haven't even completed Pokémon Yellow yet, so no purchases until then. Still waiting on Xenoblade Chronicles for Wii on the Wii U VC. I have the special edition, so I'll skip FE Revelation, so only Bravely Demo to me this week. I guess the Bravely Second demo. Any chance of North America getting Animal Crossing: Wild World on Wii U eShop one o' these weeks?? I think we have not enough mega man on the wiiU VC. let's get some Mega Man DS games up in here! Hey I thought a new slew of SNES titles were coming to 3DS! Well anyway, mark me down for both of those whenever they release. Oh and Earthbound. Oh and Mario RPG. Oh.. And all of them. Nothing for me except the Wii U demo this week. Which is fine, because I'm too busy having Midna call me stupid to play anything else. Still not sure if I want to support a game that has been so heavily censored for the Western release, but I'll at least try Bravely Second's demo. Also, the new Nintendo Select titles get released tomorrow (3/11). I need to finish FE Conquest before getting to Revelations. Maybe I'll get the BS Demo, but I'm on the edge about getting the game altogether. @ikki5 If you mean SNES on 3DS: Japan didn't get any new ones either, only Europe. I was hoping for a Twilight Princess theme. Oh well. Might check out that Bravely Second demo... otherwise, nuthin. Can't wait to get Starcraft Ghost!! Honestly a little disappointed that there isn't any snes vc games this week. As long as Super Mario RPG comes out in the future I'll be set. Nice Rhapsody update. I got it free from T-Mobile, so it will be nice to check the Wii U version out. I'm actually passing on the demo since I'm not buying the full version until I at least hear how this ends. I was pretty livid about the way Bravely Default finished out. So I will wait on this one. Will probably get Jones On Fire, depending on the sale price. I thought it looked like fun, but maybe not $6 worth of fun. Bravely Second demo is a no-brainer. I vote that the Bravely Prelude should've been the header image since it's the best thing to happen to the eShop in a very long time....and I'm not even a Bravely Default fan. @hendie001 I think the real problem is how slowly the VC is updated. As for Mega Man's abundance, there's a lot of Mega Man ganes, and the pint of the VC is to have a catalogue of all the old games via emulation, right? Only the Bravely Second demo for me... if I can fit it on my puny 8gb of storage. Will get Revelation after Birthright (and Conquest) are completed. I will definitely be downloading the Bravely Second demo but due to me being quite busy with other games I don't think I will splurge on anything else. Gonna get brave a second time, and I'm gonna (hopefully) get swell items for the full game.....YEE! I'll get Revelation eventually once I'm done with Birthright and Conquest. May also get the Fates theme. @Windy I'm pretty sure it's already been reviewed a number of times. EU already had it and from what I'm hearing it does not do the same silliness the last game did in the whole second half. Not a bad week, there have definitely been worse ones. To any fan of the Battle Network games, I highly recommend BN6 due to the improvements in the combat mechanics; Gregar/Falzar are my second favorite games in the series, after BN3. I'm skipping the Revelations DLC. I'm thinking about picking up the Bravely Second demo, but will it have spoilers for the first game? I have yet to play it. I'm so sick and tired of seeing megaman vc games Jesus!! Yuck!! Can we mix it up just a tad???? Cmon Capcom you're sitting on a pile of unreleased classics still!!! I got the Bravely Second demo days ago as a GCU member. Really awesome- like a full game! Seriously! Also, getting Revelations for both my digital copies of Fates on both 3DS I use (XL and faceplates). Already have it on my SE cartridges but I want this game, DLC and all, on every 3DS I use, digitally, for 24/7 access. Especially since you can swap data among copies by copy/pasting to/from the 1st set of "Extra Data" save slots. Also, MegaMan and oh, a new Fire Emblem theme! Get that Xmas game before it's 50 cents more by Xmas!!!! No Mega Man's Soccer yet I see. Getting the two 3DS demos, hopefully BS is a lot more of the first four chapters (and chapter 5 didn't bug me that much in a vacuum) and at some point before the end of the month I'll pick up Conquest & Revelations I think. Birthright hasn't drawn me in the way Awakening did but the other two campaigns are still 70 - 80 hours for $40 at my playing speed, hard to pass up. Revelations for me. I might as well give the Bravely demo a try though. Missed out on the 1st one so hopefully this one pulls me in. I'm happy to see MMBN6 That's also one of my favorite games from the series. Glad to see Battle Network 6, The BN series as a whole is great so anyone who hasn't played one should really give them a try. Now I'm hoping Capcom will still do Mega May this year, I'd love to play the Mega Man Star Force series and the Mega Man ZX series on the big screen. I'm planning to get Fates along with Revelation for my birthday which makes it my first Fire emblem Game. I'm also planning to get the Fire Emblem crossover for Wii u for a bit more JRPG action. I might get the Bravely Second demo because it's a bonus story within a demo so it could be a pretty lengthy demo. And I am pretty sure no one would want Sonic Boom, even if it was on sale for one buck. I am getting Star Ghost. This is a one man show that needs support and it looks like a decent shooter. I am also going to get BDS demo and I will get around to the FEF Revelation some time in the future my bag log is getting big. I can never look forward to these things. Nintendo should take a lesson from Netflix. When they release a tv series, they put it all on there at once for us to enjoy as we wish. Why don't Nintendo do that with planned virtual console releases?! All these Super Nintendo games being stretched out over weeks or months is ridiculous, especially considering Europe is getting them faster than North America. So, yeah, nothing for me this week!! Can you get Fire Emblem Revelations without getting Fire Emblem Birthright or Conquest? More people picked Bravely Second than Fire Emblem? I'm honestly shocked. @JustJulyo No sorry. I wouldn't want to though. Black tiger, side arms, UN Squadron, magic sword, 1941 counter attack, 1942,1943, 1943 Kai, gunsmoke, bionic commando, commando, mercs, legendary wings, section Z, Trojan, vulgus, King of Dragons, knights of the round, mega twins, strider, tiger road and many many others from Capcom and we get?? Megaman .....again!!! Ugh!! Booo!!! @leo13 Dang, would have been an awesome deal!